As someone who considers myself to be a scientist, I thought I should present another view to you on statins. This piece (a transcript of a talk) can be seen on Medscacpe1. I am Dr. Frank Veith, Professor of Surgery at New York University Medical Center and the Cleveland Clinic. Today I am going to talk about what I call the “statin witch hunt” and why, despite it, we should give more patients statin drugs. Other New York Times articles about Drs. Paul Ridker and Nancy Cook, and another by Gina Kolata, expressed similar reservations about the ACC/AHA guideline recommendation to broaden statin administration. All three of these New York Times articles were part of what I call the “statin witch hunt” which has generated much confusion among the public. The op-ed by Drs. 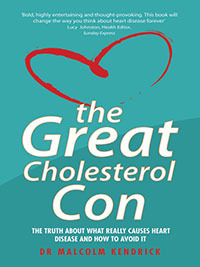 Abramson and Redberg makes the case that the recent ACC/AHA cholesterol guideline is incorrect to advocate the expansion of statin usage to more patients because such expansion “will benefit the pharmaceutical industry more than anyone else.” They state that the guideline’s authors were not “free of conflict of interest.” In addition, they claim that “18% or more” of statin recipients “experience side effects” and that the increase in statin administration will largely be in “healthy people” who do not benefit and who would be better served by an improved diet and lifestyle. Although the latter is true for everyone, Drs. Abramson and Redberg convey the wrong message. Statins are the miracle drug of our era. They have proven repeatedly and dramatically to lower the disabling and common consequences of arteriosclerosis — most prominently heart attacks, strokes, and deaths in patients at risk. Statins avoid these vascular catastrophes not only by lowering bad blood lipids but also by a number of other beneficial effects that stabilize arterial plaques. They have minimal side effects, most of which are benign. In several controlled studies, the patients who did not receive statins had an incidence of side effects equal to those who received them. Serious side effects are rare and manageable. 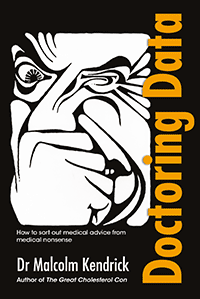 Moreover, healthy patients are only healthy until they get sick. Many individuals over the age of 40 take a daily aspirin. Statins are far more effective than aspirin in preventing the heart attacks and strokes that often occur unexpectedly in previously “healthy people.” Clearly it would be worthwhile for such healthy people to take a daily statin pill with few side effects, if it would lower their risk for such vascular catastrophes and premature death. In contrast to what is implied in the Abramson-Redberg article, these drugs are an easy way for people to live longer and better, and statins cannot be replaced with a healthy lifestyle and diet — although combining the latter with statins is a good thing. Lastly, with respect to the comments about the pharmaceutical industry benefiting from statin prescriptions, and the guideline authors’ conflicts of interest, both are less important than patient benefit, which has been demonstrated dramatically and consistently in many excellent and well-controlled statin trials. Moreover, most statins are now generic, so the cost for obtaining these miraculous drugs need not be prohibitive, and the guideline’s authors are experts who are eminently qualified to write them. The statin witch hunt is a bad thing, and more patients should be on statin medication. I am Dr. Frank Veith, and that is my opinion. I though you should know if Frank Veith has any conflicts of interest. He works at the Cleveland Clinic, so he probably doesn’t, as most of the medical experts who work there state that they give all of their income from working with the pharmaceutical industry to charity. Steven Nissen, a man of whom you may have heard me speak on a regular basis, is the chairman of Cardiovascular medicine at the Cleveland Clinic. Dr. Nissen has received grant/research support from AstraZeneca Pharmaceuticals, Atherogenics; Eli Lilly and Co., Lipid Sciences, Pfizer Labs, Sankyo Pharma, sanofi-aventis, and Takeda Pharmaceuticals North America with all reimbursement directed to the Cleveland Clinic Cardiovascular Coordinating Center; and has been a consultant for Abbott Laboratories, AstraZeneca Pharmaceuticals, Atherogenics, Bayer Corp., Eli Lilly and Co., Forbes Medi-tech, GlaxoSmithKline Pharmaceuticals, Haptogard, Hoffman-LaRoche, Isis Pharmaceuticals, Kemia, KOS Pharmaceuticals, Kowa Optimed, Lipid Sciences, Merck/Schering Plough, Novartis Pharmaceuticals Corp., Novo-Nordisk, Pfizer Labs, Protevia, Roche Pharmaceuticals, Sankyo Pharma, sanofi-aventis, Takeda Pharmaceuticals North America, Vasogenix, Vascular Biogenics, Viron Therapeutics, and Wyeth Pharmaceuticals, all fees are paid directly to charity with no reimbursement paid to Dr. Nissen; and has served on the speakers’ bureaus of AstraZeneca Pharmaceuticals and Pfizer Labs, all fees are paid directly to charity with no reimbursement paid to Dr. Nissen. Cleveland Clinic physicians and scientists may collaborate with the pharmaceutical or medical device industries to help develop medical breakthroughs or provide medical education about recent trends. The collaborations are reviewed as part of the Cleveland Clinic’s procedures. The Cleveland Clinic publicly discloses payments to its physicians and scientists for speaking and consulting of $5,000 or more per year, and any equity, royalties, and fiduciary relationships in companies with which they collaborate. The Cleveland Clinic requires its doctors to approve the public disclosures of their scientific collaborations with industry. As of 3/21/2014 the review process regarding Dr. Veith’s disclosure had not been completed. Patients should feel free to contact their doctor about any of the relationships and how the relationships are overseen by the Cleveland Clinic. To learn more about the Cleveland Clinic’s policies on collaborations with industry and innovation management, go to our Integrity in Innovation page. This entry was posted in Dr Malcolm Kendrick and tagged Abramson, ACC/AHA cholesterol guideline, American College of Cardiology, American Heart Association, arteriosclerosis, Cleveland Clinic, Dr. Frank Veith, Medscape, New York University Medical Center, Paul Ridker, Redberg, statins, Steven Nissens on March 22, 2014 by Dr. Malcolm Kendrick.